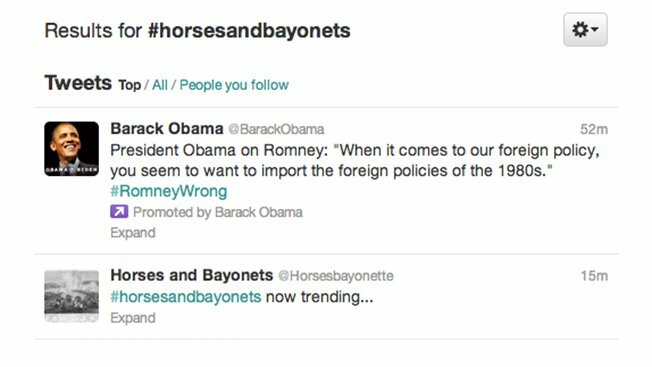 Within an hour, “Relatable Romney” had infiltrated the Twitterverse. This meme poked fun at Romney’s failed attempts to relate to “average” Americans by criticizing his affluent background. “I don’t know if [Internet memes] mean that much in terms of moving votes, but I think they keep people engaged with the news,” said Alex Miller, the program director at Washington Bus, an organization that seeks to engage young Washingtonians in politics. For me, personally, political memes are both heartening and concerning. I love to see my peers so eager to engage with politics — but what happens when a meme gets something wrong? Memes aren’t always images with catchy misspelled phrases. They can take the form of short videos, animated GIFs, or Twitter hashtags. And while memes may be generating buzz about the elections, they don’t always foster political discourse. As we count down to November 6, here is a collection I’ve compiled of some of the best political Internet memes from this election cycle.